Have you created a map that can only be accessed with a login? In that case you have access to a user management system where you can manage who has access to your map. 1. 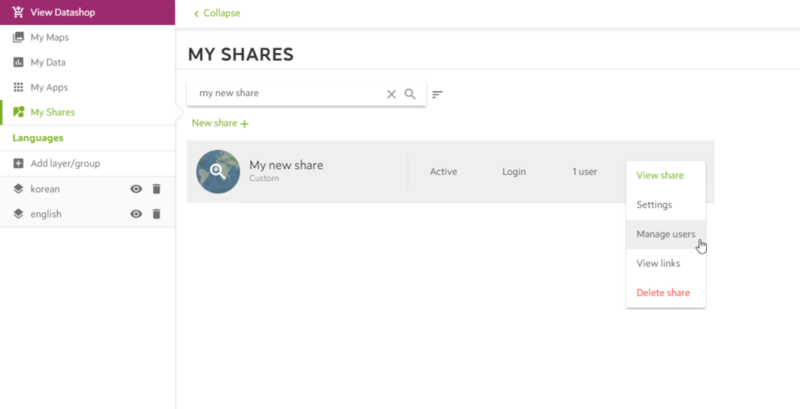 Go to MY SHARES and find that particular shared map. 2. Click the OPTIONS button. Now a dropdown menu will appear. Click the MANAGE USERS option to access user management of that particular map. 3. Now you have opened the menu where you can manage the users that have access to your shared map. 1. Press the ADD USER + button. 2. 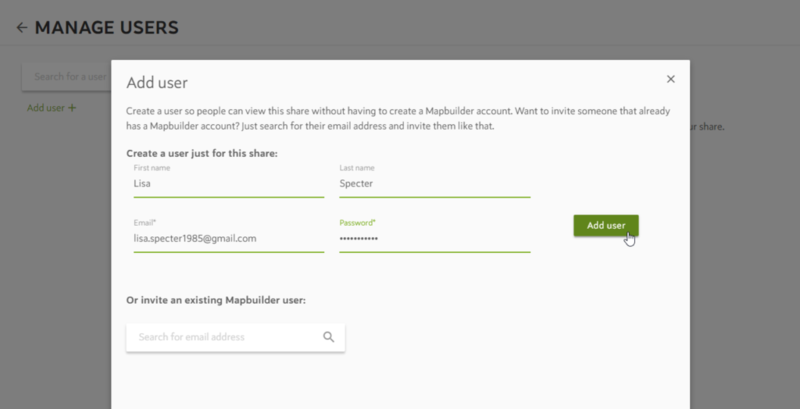 To add a user that already has a Mapbuilder account, use the search bar and fill in the e-mail address of that particular Mapbuilder user. 3. Found the right Mapbuilder account? 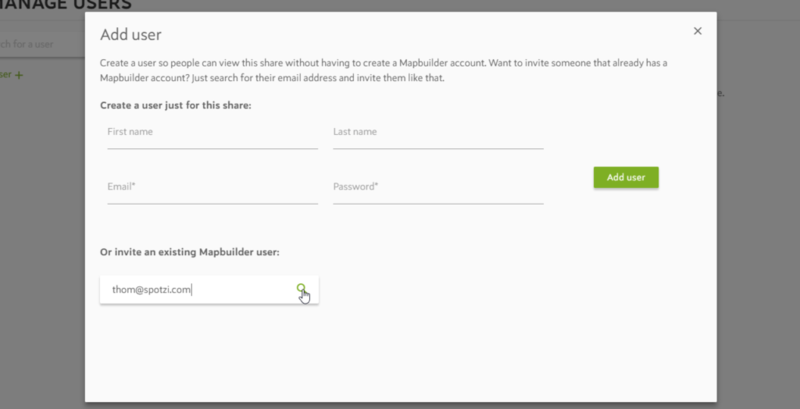 Click the plus icon next to give this Mapbuilder access to your map. 4. Now the Mapbuilder user is added to the users that have access to your map. This user has now received an invitation in his/her mailbox. Once the user has accessed the map, the status ‘invitation pending’ will be changed ‘active’. 5. Once the user has accessed the map, the status ‘invitation pending’ will be changed ‘active’. 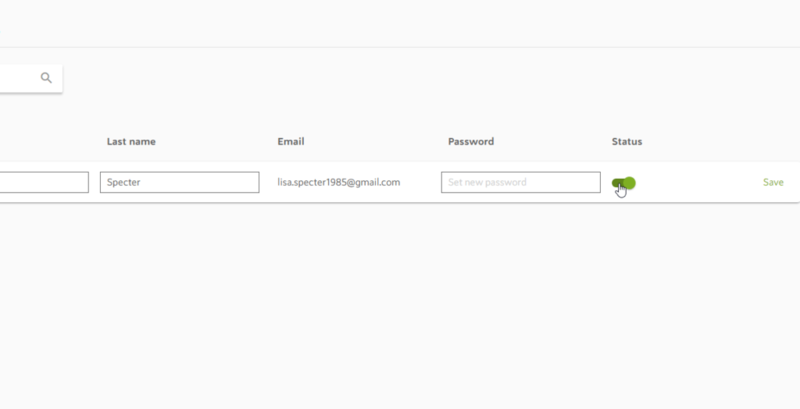 When the user has the ‘active’ status, you are able to activate/deactivate the access of that particular user. 2. 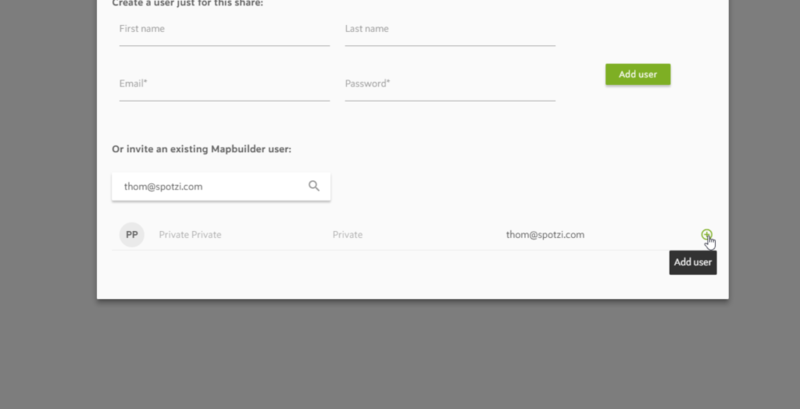 To add a guest user that doesn’t have a Mapbuilder account, please fill in the first name, last name, e-mail address and a password. Click the ADD USER + button to confirm. 3. Now the user is added to the users that have access to your map. The guest user has now received an invitation in his/her mailbox. 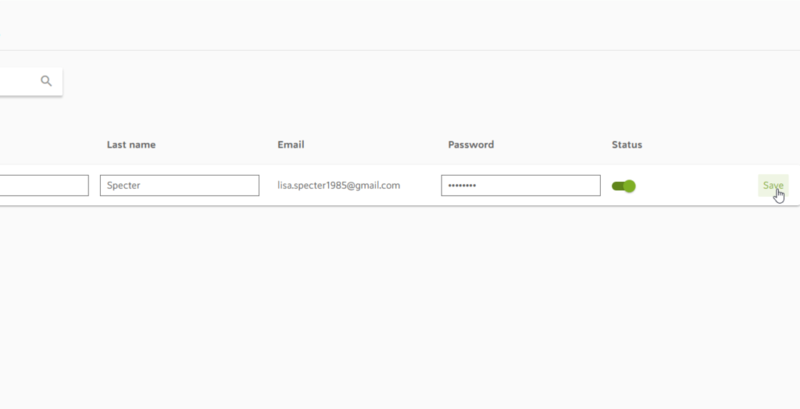 This e-mail contains the credentials (e-mail address and password) to access the map. Once the user has accessed the map, the status ‘invitation pending’ will be changed ‘active’. 4. Once the user has accessed the map, the status ‘invitation pending’ will be changed ‘active’. When the user has the ‘active’ status, you are able to activate/deactivate and delete the user. 1. 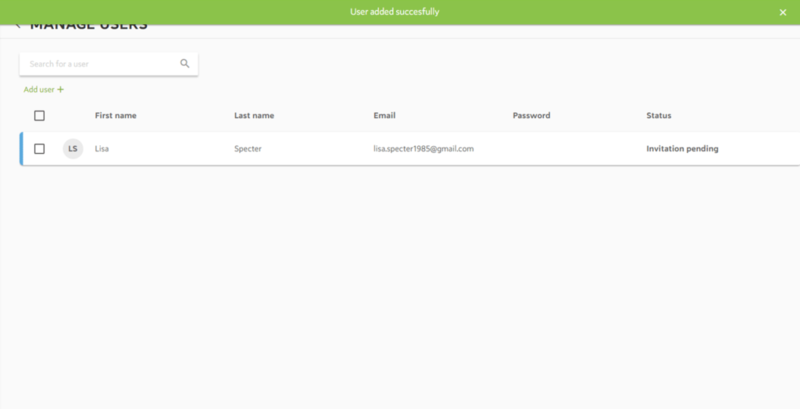 Once the guest user has the status ‘active’. 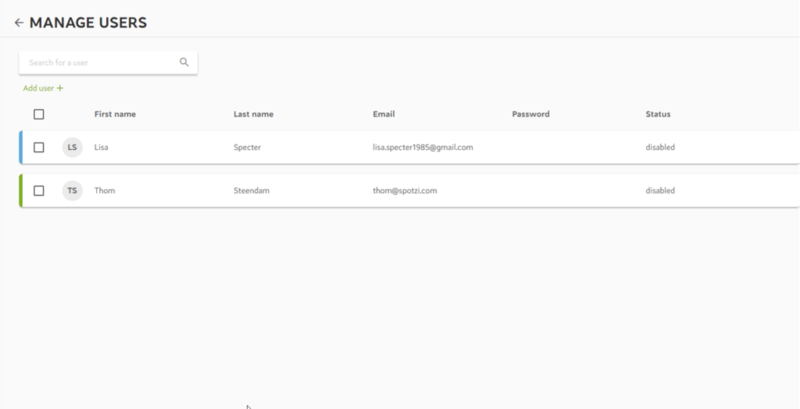 You are able to change the first name, last name and the password of that guest user. 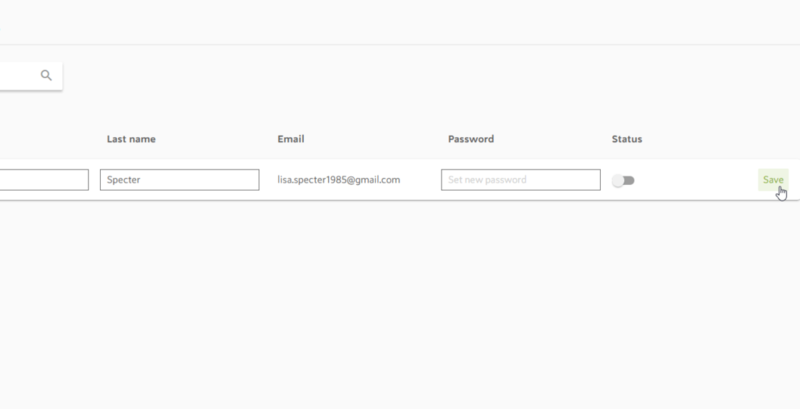 A password bar will appear when you hover with your cursor over that particular guest user. 2. When you entered the new password, click SAVE to confirm. Now you have successfully changed the password of that user. 3. 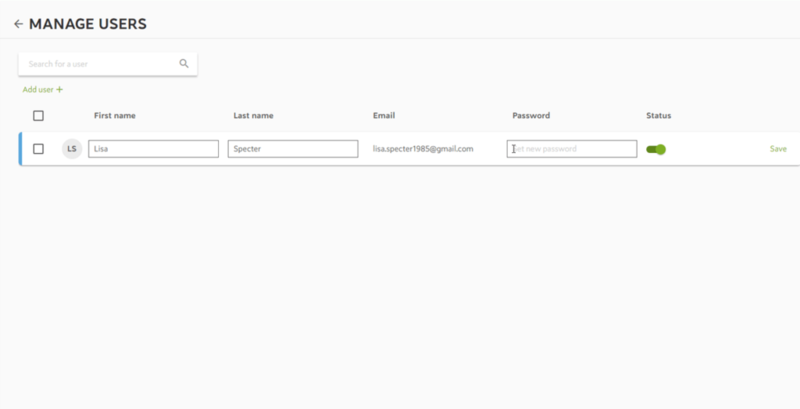 When you have changed the password, the user will automatically receive an e-mail with the new password. 1. 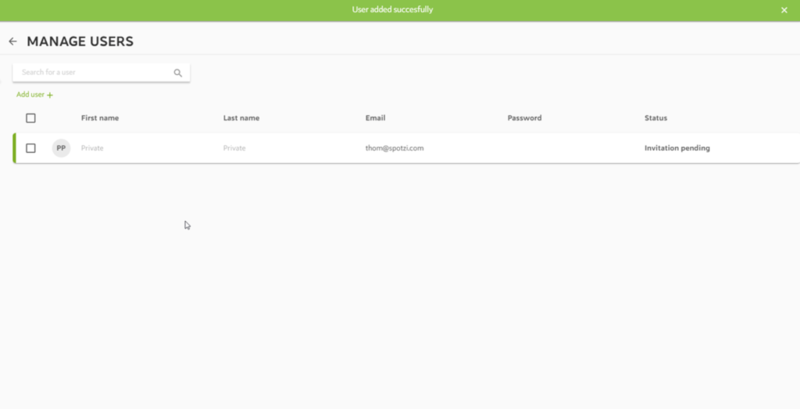 Once the guest user has the status ‘active’. You are able to temporarily deactivate/activate the user access for that particular map. This might come in handy when you are making changes to your map and you don’t want to delete people from your list. There are two ways to activate/deactivate user access. 2a. Hover with your cursor over that particular guest user. Here you can activate/deactivate by clicking the switch. 2b. Click SAVE to confirm. 2c. You have disabled the user access to your map. 3a. This option is used when you want to activate/deactivate the map access of multiple users at once. Select the users by clicking the checkboxes or select all users at once with the checkbox at the top. 3b. 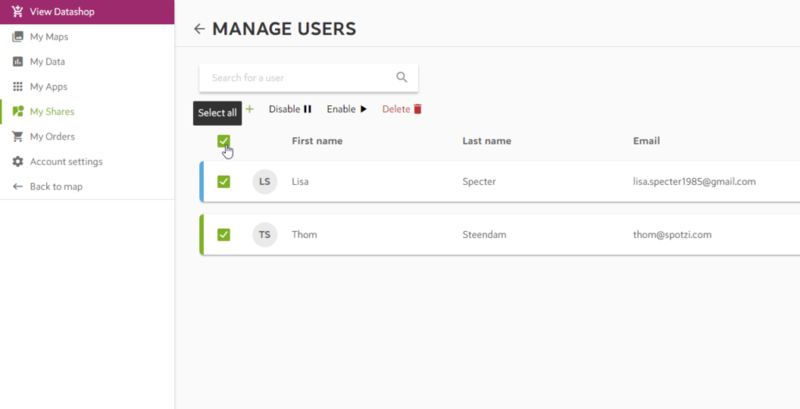 When you have selected all the users, click the enable or disable button to activate/deactivate user access of multiple users at once. 3c. You have disabled the user access to your map. 1. 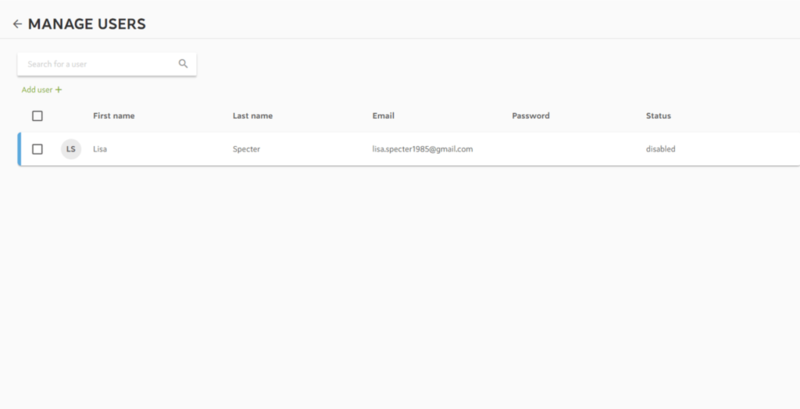 Once the guest user has the status ‘active’. 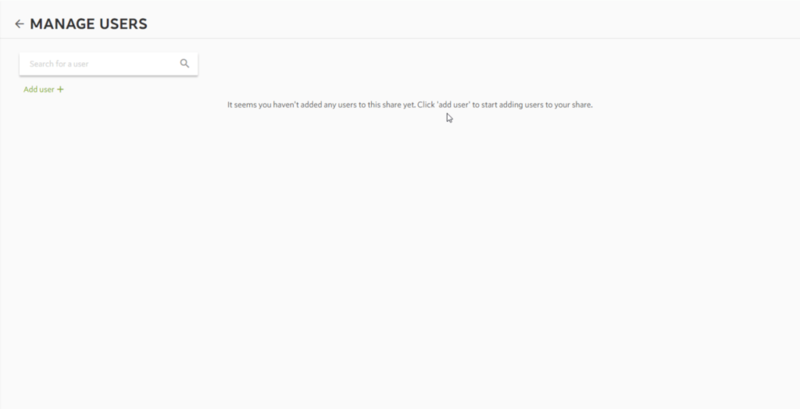 You are able to delete users from the list and permanently disallow certain users to access your map. Select the users you want to delete by clicking the checkboxes or select all users at once with the checkbox at the top. 3. You have deleted user access to your map.